Contributions to OpenConnect are very welcome. You don't need to be able to write code. Testing, documentation improvements and especially translations are all extremely useful. Some specific suggestions and requests for help can be found below. Patches can be sent to the mailing list or directly to the author in private email. We are also experimenting with using GitLab, so please feel free to file issues and submit merge requests at https://gitlab.com/openconnect/openconnect. One of the main things needed at the present time is translations into languages other than English. All contributions will be gratefully received. Translations for OpenConnect are maintained in the GNOME NetworkManager-openconnect module. Translations can be contributed by joining the GNOME team as described on their TranslationProject wiki page, or simply by editing one of the language files in the po/ directory and sending the resulting patch (or file) to the mailing list. If there are questions about the messages because the intent is not clear, or if the messages could be improved to make translation easier or better, please also feel free to ask or make suggestions on the mailing list. 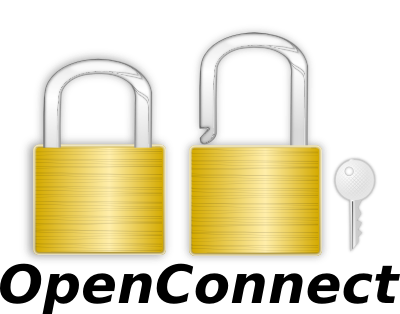 OpenConnect is designed with the principle that "if it needs documenting, fix it instead". That isn't to say that we don't have documentation. But if a user finds something non-obvious and has to look it up in the documentation, then that in itself is a little bit of a usability failure. Software should Just Work™. So if you find something that is more complex than it needs to be, and you think it should Just Work™ then please don't hesistate to tell us bout it. The current template is definitely showing its age, and could very much do with an overhaul. Testing against a Cisco ASAv virtual applicance (v9.10 or above) with DTLS v1.2 support. Cisco have finally updated to use a standard version of the DTLS protocol, where the hardware acceleration doesn't prevent it. We have tested their client and OpenConnect against ocserv and we believe we have a compatibile implementation, but testing OpenConnect directly against a Cisco server with DTLS v1.2 would be extremely useful. Testing a PAN GlobalProtect VPN with IPv6 internal addresses. We think we know how this works, but we've not been able to test. There are some other protocols which would be good to add to OpenConnect. Getting a new protocol to the point where it basically works to send and receive traffic is only a few hours of work, and can be very rewarding. For some protocols we already know how they work on the wire and it's mostly just a matter of typing. For others we might have to observe the existing clients to learn how they work. These would be great projects for someone to take on as a learning exercise, or perhaps even Google Summer of Code projects. This is the successor to the Juniper Network Connect protocol which is already supported. It's saner, simpler, and has IPv6 support. We do understand how it works, with EAP over IF-T/TLS. This is an IPSec-based VPN with fallback to using the SSL transport. Some discussion of OpenConnect support in this GitLab ticket. These IPSec-based protocols are already supported by vpnc to differing extents, but vpnc is no longer actively maintained. Since OpenConnect now has ESP support, and since some of these protocols also fall back to operating over TCP when UDP and native ESP aren't available, it may make sense to implement them in OpenConnect now. Suggestions for other protocols which OpenConnect could usefully implement, are also welcome. WebView support in graphical clients. Better support for running or emulating the 'Cisco Secure Desktop' trojan. The Cisco hostscan tool seems to download and interpret a manifest file from the server and send back results based on the "questions" therein. A native implementation of this would be useful. GUI for OS X, perhaps based on Tunnelblick. OpenConnect's support for the Android keystore predates the Android keystore actually doing anything useful. We assume we can just ask for the private key and be given it. A real keystore would only allow us to perform signature operations using the key, and wouldn't just give it to us. Modern versions of Android can support this, and we should add support for it. Mac OS X keychain support. Likewise, using keys stored in the OS X keychain would be extremely useful.